I'm mulling over the notion of maps. 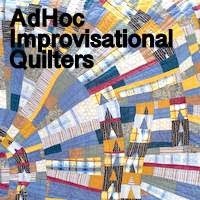 Like Cathy I don't make art quilts, so am thinking about how to go at the subject in a way that fits with my natural inclinations. Fabric always help me think, so today I pulled this pile. Three shirts (well, actually two shirts and something that may be a blouse or may be a dress; sometimes these days I honestly don't think there's a difference). And a pile of things that seem to go with them. Ideally I'd like more shirt in the mix so may go looking for another one, but I know I haven't got anything that fits the bill so that will be shopping rather than just digging in boxes. This will do for now though. Good luck -- I found my way through the challenge but there may also be one SMALL piece added to the "new" pile. We shall see. What a diverse yet cohesive group of fabrics. You certainly have a knack!!! I am definitely curious to see where the map prompt takes you! And you can tell the difference between my dresses and shirts! Very appealing fabric pull. It'll be interesting to see where it leads you, especially how you use these fabrics to interpret the map theme. That is a nice mix of colors and patterns. I am not sure what I might do. Well, shopping is always good - wink! Love the selection so far. Blues, ochres, yellows, browns and a bit of orange. That's a good start. Maps are fascinating aren't they? Looking forward to your interpretation of a map quilt. I love starting with the fabric then letting the idea develop. Looks like you have a great place to start already! Hmm...perhaps art is in the eye of the beholder, because I have always thought of your quilts as art. This will be fun to watch develop as there are so many ways to interpret the concept of map. Well, I arrived home and immediately came down with the first flu of the season. How did that happen? When the chills and fever stop I hope to get busy. I like your fabric pull and wonder if this will be a shoreline or rocky cliff? I can't wait to see how you proceed. Great colours and prints. Will you be adding any green to it? Curious. it's very interesting to see how you start. The fabrics are quiet, and the plaids will lend themselves to the task, I can see where you're headed just from the grouping. I consider all of your quilts art, as they have a point of view, are original, and you make them interpreting a place/moment/feeling. Oh nice collection of fabrics - makes me think of sea and sand! love your start in picking colors and prints! When I read your blog title I clicked thinking it was about the upcoming FOQ but it followed a different much more interesting tack = what lies beneath. The shirtings were also relevant as I have quite a collection and am doing a 3 hour workshop with Chris English at FOQ which requires "one old shirt" plus scraps. On the subject of lighthouses we were at Dungeness this last weekend which has two, the older hugely tall one with black and white stripes. The new one is slender and automatic.